Crunch time is now for Obama’s health care law, as consumers face a Dec. 23 enrollment deadline if they want to have coverage on Jan. 1. WASHINGTON — With time running short, the nation’s health care rolls still aren’t filling up fast enough. New sign-up numbers Wednesday showed progress for President Barack Obama’s health care law, but not enough to guarantee that Americans who want and need coverage by Jan. 1 will be able to get it. Crunch time is now, as people face a Dec. 23 deadline to sign up if they are to have coverage by New Year’s. That means more trouble for the White House, too, after months of repairing a dysfunctional enrollment website. Next year could start with a new round of political recriminations over the Affordable Care Act, “Obamacare” to its opponents. The Health and Human Services Department reported that 364,682 people had signed up for private coverage under the law as of Nov. 30. That is more than three times the October figure but still less than one-third of the 1.2 million that officials had projected would enroll nationwide by the end of November. The administration’s overall goal was to sign up 7 million people by next March 31, when open enrollment ends. Secretary Kathleen Sebelius assured Congress on Wednesday that “we are seeing very, very positive trends” now that HealthCare.gov is working reasonably well. She also announced that she’d asked the department’s inspector general for an independent investigation into contracting and management factors that contributed to the technology failure. Yet the revamped federal website serving 36 states continues to have issues, and some states running their own sites also face problems. Oregon had signed up only 44 people as of Nov. 30. That’s created stress and uncertainty not only for the uninsured but also for other people who now have insurance but are seeking to avoid an interruption in coverage in January. Those who are trying to preserve their coverage include some of the more than 4 million people whose individual plans were canceled because they didn’t measure up under the law — as well as hundreds of thousands who are in federal and state programs for people with serious health problems, from cancer to heart disease to AIDS. Democratic lawmakers say they are relieved the website is finally working, but some are not convinced the turnaround is complete. “How confident I am? I’m hoping that we’re moving in the right direction,” said Rep. Eliot Engel, D-N.Y., after Wednesday’s Energy and Commerce Committee hearing. “And if we find the day has come and we find that it’s not what we had hoped, then I think there should be changes.” The law should be fixed, not repealed, he said. Sebelius said at least 1.9 million people appear to be waiting just offstage to sign up. They’ve been found eligible to enroll but haven’t yet picked a plan. If they’re all procrastinators who rush forward on Dec. 23, the website would be overwhelmed. It can only handle 50,000 people at a time. The administration report found a total of 137,204 people enrolled in the states served by the federal HealthCare.gov by the end of November, up from 26,794 in October. The 14 states running their own websites enrolled 227,478 people, up from 79,391 in October. California, which is running its own program, led the nation, with 107,087 sign-ups. New York, also running its own market, had 45,513. Among states with federally run markets, Florida was the leader with 17,908 sign-ups. Texas, which has a bigger share of its population uninsured than any other state, had 14,038. Nationally, an additional 803,077 people have been determined to be eligible for Medicaid, the safety-net program shaping up as the health overhaul’s early success story. That’s about double the number for October. Nonetheless, state Medicaid directors are reporting accuracy problems with information on prospective enrollees that the federal government is sending them. Obama’s law uses a two-track approach to expand coverage for the uninsured. Middle-class people who don’t have access to job-based insurance can buy government-subsidized private plans. Low-income people are steered to an expanded version of Medicaid in states accepting it, though not all do. The website is supposed to be the portal to both kinds of coverage. The administration had spent $677 million on website technology through the end of October, aiming for smoother operations, but with results still well short of perfection. Republicans have called for Sebelius to resign and some Democrats have urged Obama to fire those responsible for problems, but the White House has given no indication of a house-cleaning. Sebelius’ request for an inspector general probe is a sign that there is more explaining to be done. She seemed to be pointing a finger at the Medicare agency, which is part of her department and oversees Obama’s coverage expansion. In addition to the inspector general review, Sebelius said she has ordered the Centers for Medicare and Medicaid Services to hire a new “chief risk officer” to make sure technology programs work as advertised. Like other major federal operations, the Medicare agency already has several senior tech executives. 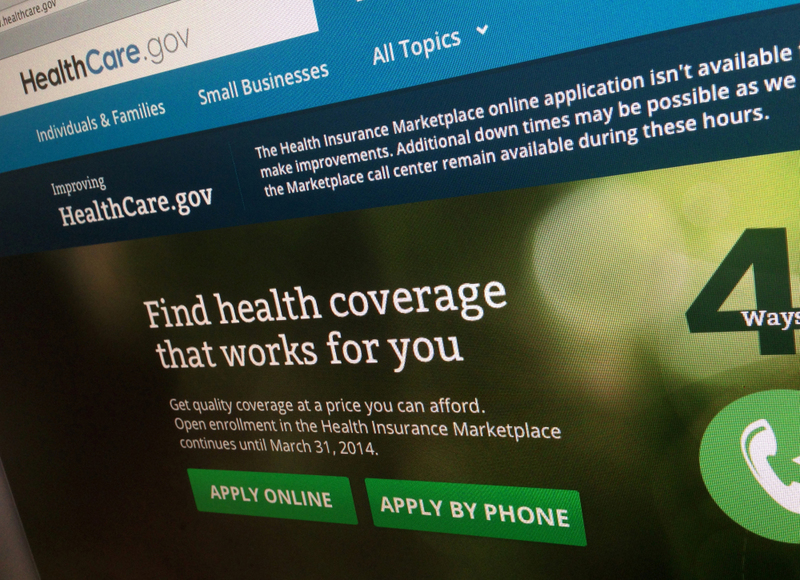 HealthCare.gov went live Oct. 1, and consumers immediately got bogged down. A two-month program of fixes directed by White House troubleshooter Jeffrey Zients made the site more workable, resolving hundreds of software glitches and adding computer equipment to handle peak demand. Zients also concluded that the technical problems were compounded by inadequate oversight and coordination.